BIRMINGHAM, England—The popularity of British traditional afternoon tea, with cakes, scones, and tea served in fine china, has grown in recent years among tourists and Brits alike. But it may not be enough to stop the demise of the traditional cuppa. Even as Brits head for the famous afternoon “cream teas” and beaches of the southwest this summer, they are more likely than ever to grab a latte or an Americano for the journey. Statistics show the traditional British brew—black tea with milk—has declined steadily in recent years. 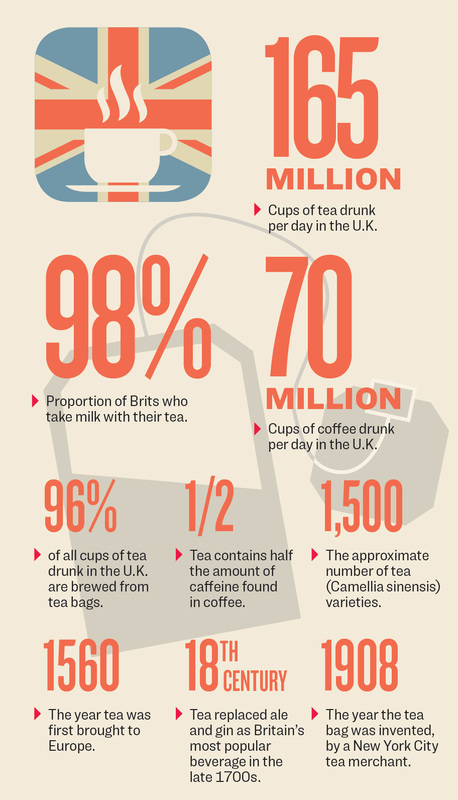 In cafes, pubs, and tea and coffee shops, Brits now drink 2 1/2 times as many cups of coffee as they do tea. 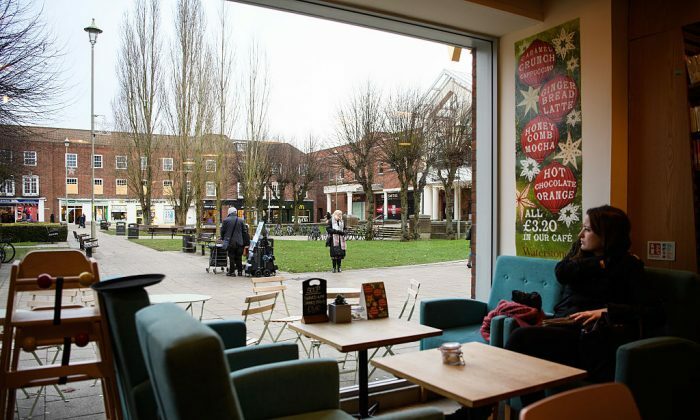 Coffee shops have sprung up everywhere in the last couple of decades, replacing the legions of greasy-spoon cafes that offered a staple of super-strong “builder’s tea,” together with traditional fry-ups. But Bill Gorman, executive chairman of the U.K. Tea & Infusions Association, says coffee’s growing dominance on the high street isn’t repeated at the kitchen table. Britain is still not a coffee drinking nation, he said. The traditional brew of black tea with milk is steadily declining in Britain, as more people take up coffee. “Today, we will drink 165 million cups of tea. We will only drink 70 million cups of coffee,” he said. Around 70 percent of tea is still drunk at home, partly because Brits prefer to make their tea at home to their own exacting requirements and don’t trust coffee shops, Gorman said. The same reluctance to change is seen in the tea industry, which is just now catching up with the innovations that boosted the coffee market. “The tea industry was extraordinarily slow to innovate and expand the range, whereas coffee and other drinks were way ahead of us,” he said. Cyril Lavenant, U.K. executive director of food service at market research company NPD Group, agrees. “You can find so much diversity of coffee through the market—84 percent of coffees sold are specialty coffees. It’s only 12 percent for tea,” he said. Coffee innovation has not only attracted the interest of consumers, said Lavenant, but also encouraged investment—and an accompanying marketing push. Gorman points out that the U.K. tea market was so conservative that it took 40 years to adopt the teabag (still a controversial topic in some households). The fact that it simply takes time to brew a decent cuppa has also made it hard for the service industry to cater to Britons’ thirst for tea. The traditional household staple of black tea, usually drunk with milk, is on the decline, Gorman said. But green teas and other specialty infusions are growing, meaning that, overall, tea is holding its own. “Tea is not dying, it’s shifting, it’s changing, it’s evolving—slowly, steadily. If we are reincarnated in 150 years’ time, tea will still be dominant,” Gorman said. But the shift isn’t the abandonment of tradition one might imagine. “When tea was first consumed in Britain in the 17th century, most Britons made green tea, drunk from tiny porcelain cups without handles,” wrote Markman Ellis, professor of literature at the Queen Mary University of London and coauthor of “Empire of Tea: The Asian Leaf that Conquered the World,” in an article posted on The Conversation.